iPhone | Down With Cantaloupe! I’m going to try to leave my sour mood out of this post and spare y’all on a Friday, which is usually the most awesome day of the week. Mine has acted WAAAYY too much like a Monday for my taste. Snarky emails, lots of requests and changes, and lots of brainpower & patience required…of which I’m out. However, life could be worse. Your stolen iPhone could lead the cops to your drug stash. BUMMER. Does this guy look like someone who could outsmart Apple? Nay. Just a tip, if you’re going to be dumb enough to steal an iPhone (or anything for that matter), maybe don’t carry your stash of heroin and drug paraphernalia ON you. There’s a little app called “Find my iPhone” and it did just that. Police traced the phone to a convenience store and arrested this sharp individual. Just in case…don’t steal and don’t do drugs. And especially don’t steal a smartphone. They’re actually living up to their names. Be smart this weekend folks! No one likes a jailbird. 1/1/11. A new year, some new numbers to remember when writing a check (which, do many people even do anymore? ), and another new opportunity for great things to come. Each day really is, but somehow New Years seems to pack a little more of a punch. For New Years, I’m not going to make any number of resolutions. Instead, I’m just going to try to be a better me–in any aspect I can do so. (Here’s where if I had an audio clip it would say “wah wah”–but it’s true, and I mean it.) Seems a little simpler than making a laundry list of things I’ll lose in the Notes on my iPhone and forget to try to look for again. 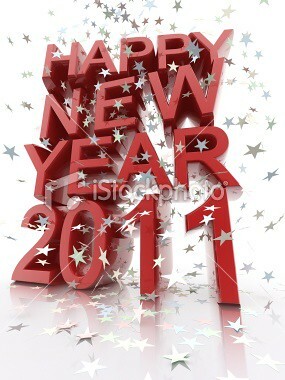 Here’s to you, here’s to a new year with new beginnings and, God willing, great things!! Oh, and I’ll definitely be striving to be a better blogger. Because listen, there’s always going to be a new story…especially when a resolution is at hand. Maybe tomorrow I’ll tell you about Winnie and her new soft cone. Yep–2010 went out with a bang for that lady.